Funding has been agreed for a new study into improvements to the railways between London and Devon and Cornwall. Rail Minister Claire Perry has announced that Great Western Railway will provide the money. I was determined to find a funding solution for this study to look at line speed improvements and I am delighted that Great Western Railway have provided the backing. We are absolutely committed to improving the resilience of the South West’s rail network, with more than £70m invested in this route so far and routine maintenance continuing to strengthen the line further. MPs debated the future of the rail service in parliament on Tuesday (8th) and a number of MPs from the region used the opportunity to challenge the lack of investment in the regions rail network compared to other parts of the UK. 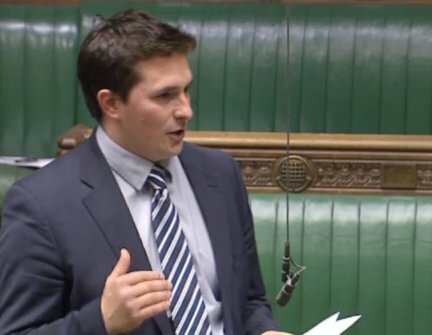 South West MPs have been lobbying transport ministers for almost a month, conservative MP Johnny Mercer is among them. Anne Marie Morris MP for Newton Abbot raised the problems with the Dawlish line. The amount of funding for the study has yet to be confirmed but last week debates over money to complete the report suggested between £250,000 and £450,000 was needed. The study will be carried out by Network Rail and will look at what improvements can be made to the existing track as opposed to alternative routes. The aim is to improve speed with signalling improvements and electrification options being explored.